Album available everywhere!! >>> http://hyperurl.co/f8fntd/ <<< Watch the official music video for Introlude: http://bit.ly/Watch_Introlude Watch the official music video for So Good: http://bit.ly/Watch_So_Good Rochester, NY producer/emcee, Volatile, presents his debut solo album "22NDLTTR." The title not only alludes to one of Volatile's nicknames among colleagues and fans but also intends to pay homage to the influential and legendary Rakim, who often referred to himself as the 18th letter. 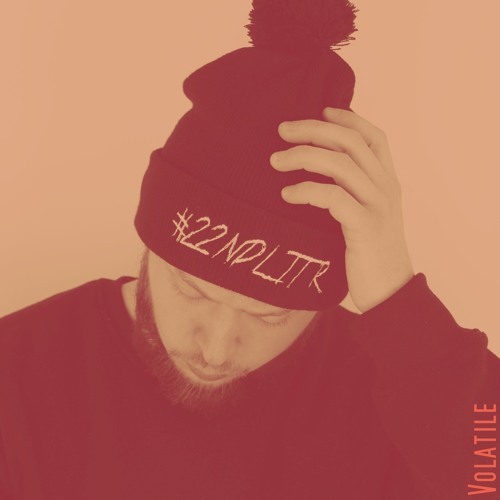 The 22NDLTTR album is a reintroduction of sorts for the multi-talented Volatile, after spending the past decade as 1/2 the duo "Reality Ends All Lies." For fans of lyricism and soulful production, 22NDLTTR will not disappoint. Volatile also teams up with REKS, Mickey Factz, Raz Fresco and more to go bar for bar. Along with 7 self-produced tracks, 22NDLTTR also features production by J57, Jon Glass, and Rediculus.